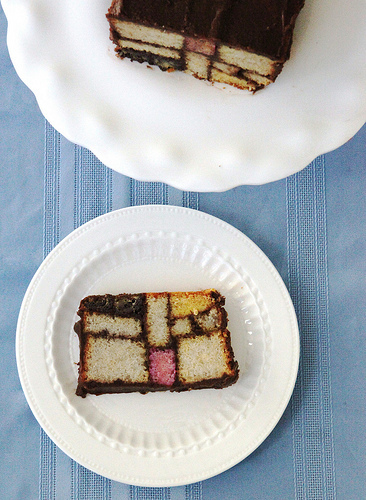 This picture from Buzzfeed features a cake that is in the cafe at the San Francisco Museum of Modern Art. It is based on the work of Dutch artist Piet Mondrian, who was known for his paintings of “black horizontal and vertical lines, white background, and solid fields of the primary colors red, yellow, and blue,” according to SFMOMA’s website. Very impressive! 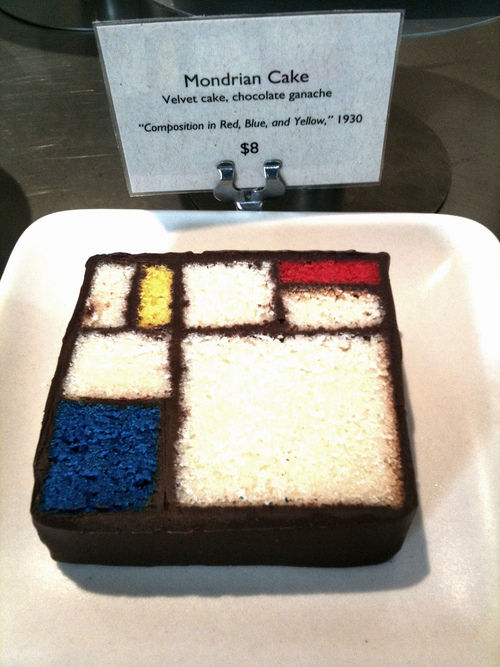 I’m the new pastry assistant at the SFMoMa Blue Bottle, & I can tell you that assembling the Mondrian cake is no small feat! I like the stained glass quality of yours. I’m very impress with this cake. I love Art … and cakes and here I found both together!!!!! I’ll try it to surprise my family. Thank you very much!! !